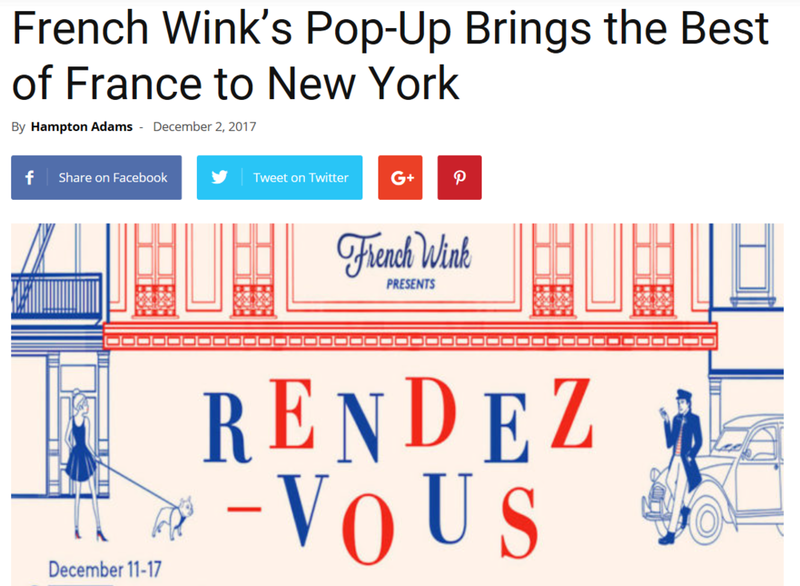 French girl chic is taking over Soho for one week with French Wink's Rendez-Vous pop-up shop dedicated to French products from emerging brands and classic labels like Saint James and Jacadi. The Made in France temporary shop presents emerging brands and several better-known labels. French girl beauty fanatics, listen up! This pop-up store is basically a free trip to France. French Wink opens a holiday pop-up in SoHo, offering fashion, food and beauty products from French brands. Rendez-vous is a roughly 278.7 sq m pop-up in hip SoHo that brings French savoir-faire to Christmas shopping at the Big Apple. As well as browsing clothing and lifestyle products by dozens of chic new French designers, you can leave reality behind at the Garou VR Bar – or just savour traditional Gallic sweet treats. There will also be French film screenings and workshops. The pop-up will welcome visitors from December 11 to 17. The big event took place from December 11 to December 17 in a magnificent 3000 sq feet space, their theme was entirely "100% Made in France", filled with products of exclusive craftmanship.They ranged from fashion, home decor, a kids corner, gourmet food, virtual experiences and even tickets to French movie premieres.